By Ian Pollard in News and Views, Uncategorized on 8th October 2018 . Amino Technologies plc AMO goes straight for the jargon box as it seeks reasons in advance for the full year results due in November. An intensification of external macroeconomic headwinds have been the main problem. These have resulted in lower than anticipated orders, higher than expected component price increases in the second half, as well as orders delayed because of instability in the economies of certain emerging markets. Planned trade tariffs in the US, have created confusion among customers, it is claimed, even before they have had any impact on the companies products. Shareholders will no doubt be delighted that all this gloom and despondency has not prevented Amino from maintaining its commitment to an increase of at least 10% in the final dividend. Sopheon plc SPE updates that the third quarter which is usually the quietest of the year, produced a record performance which saw revenue break through the $30m dollar level. Sales activity for the remainder of the year is robust and full year results are expected to exceed current market expectations. Angling Direct plc ANG enjoyed another highly successful period in the six months to the 31st July. Group revenue rose by 55.8%, gross profit by 52.6% and earnings per share from a loss of 0.33p to a positive 1.44p. The online business increased by an exceptional 60% and In August and September like for like store sales were up by 15.4% and 12% respectively. 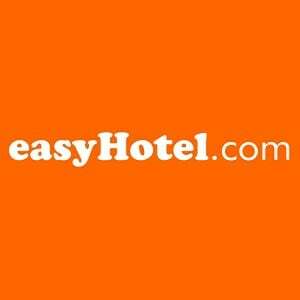 eassyHotel plc EZH describes its year to the 30th September as a transformational one, with a strong performance across the portfolio.Total systems sales for the year rose by 25% and as at the end of the year the total owned hotel portfolio increased by 42%. Five new owned hotels with 610 rooms and four new franchised hotels with 297 rooms brought the total network to 33 hotels and 3,068 rooms.